Jaipur is observing a paradigm shift almost in all spheres and so is visible in it’s Bazaar’s. But did you know that there is more beyond traditional bazaars and Shopping Malls. 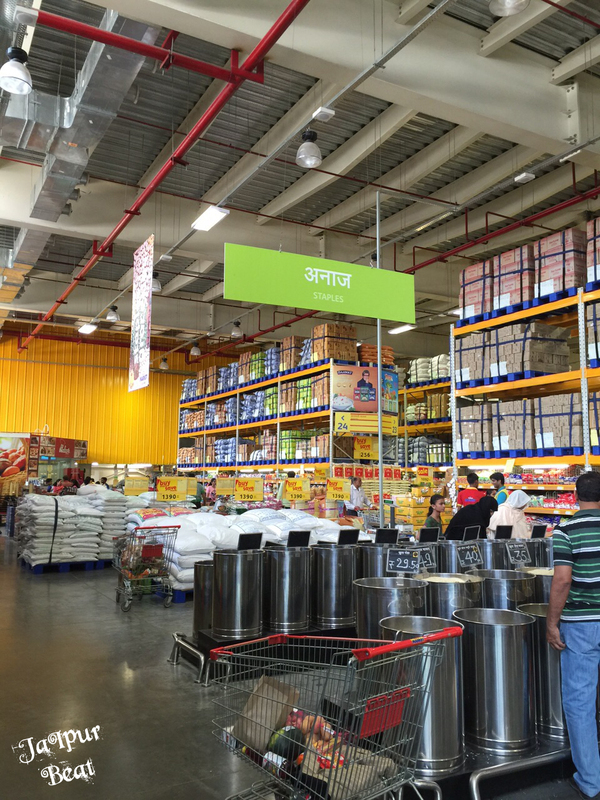 And we are sure that very few are aware that, a Big Wholesale Bazaar Reliance Market is now open in Jaipur. Till now we have just heard about Reliance Fresh, Reliance Footprints, Reliance Telecommunications but Reliance Market a progenitor of all. Situated in the outskirts of Jaipur, just after famous Sharma Dhaba, when you look towards your right, you get to see a huge outlet painted in yellow and that’s ‘Reliance Market’. The distance makes sure that the customer is not going to walk in for leisure 🙂 As you enter this Big Market you will be simply amazed by the range of products available in the store. Here, the retailer is getting exposed to the best of products that is available on the planet. Be its apparels, cosmetics, toiletries, home & office products, travel & leisure products, food or vegetables and much more. 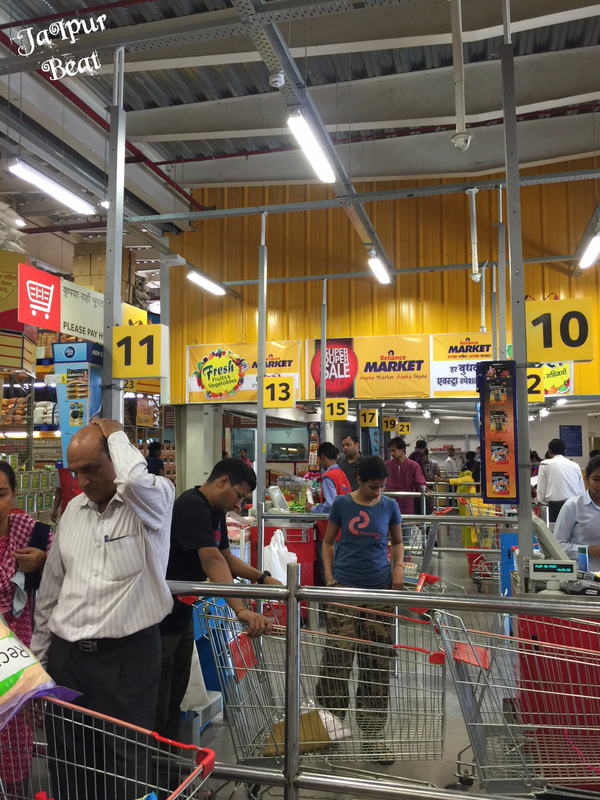 This Cash-and-carry store is low-frill in terms of look, feel and setting, or we can say they save on logistical costs as companies and distributors are supplying merchandise directly to these stores. 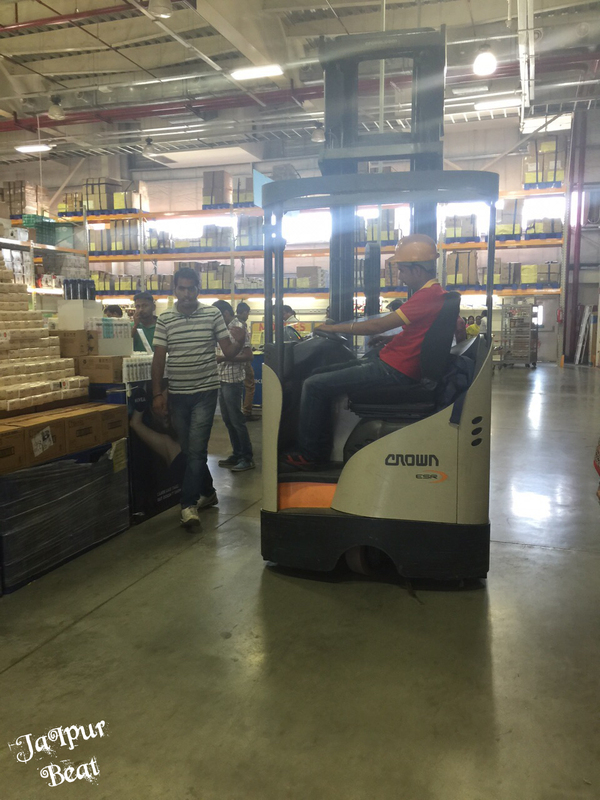 Overall, it gives the look of a Godown/warehouse where you can actually see how human and big machines put their efforts to make things accessible and life simpler for you. The best part is you don’t get to see exorbitant rates. There is no secret play, you pick up any product and there itself compare it with the market rates and rate offered to you. No effort goes into cracking a big deal as you get a deal with everything. 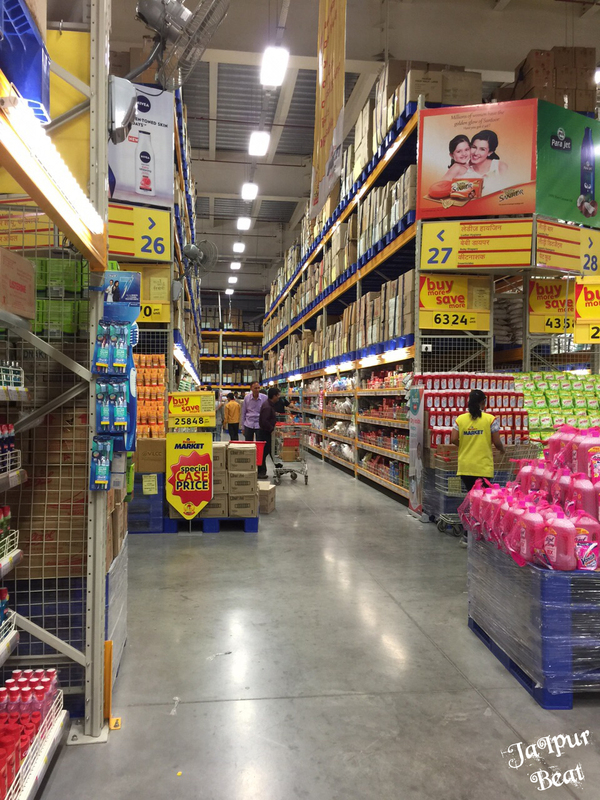 The place is suitable only for those who intend to buy in bulk. Most of the products are available in large quantity packs. 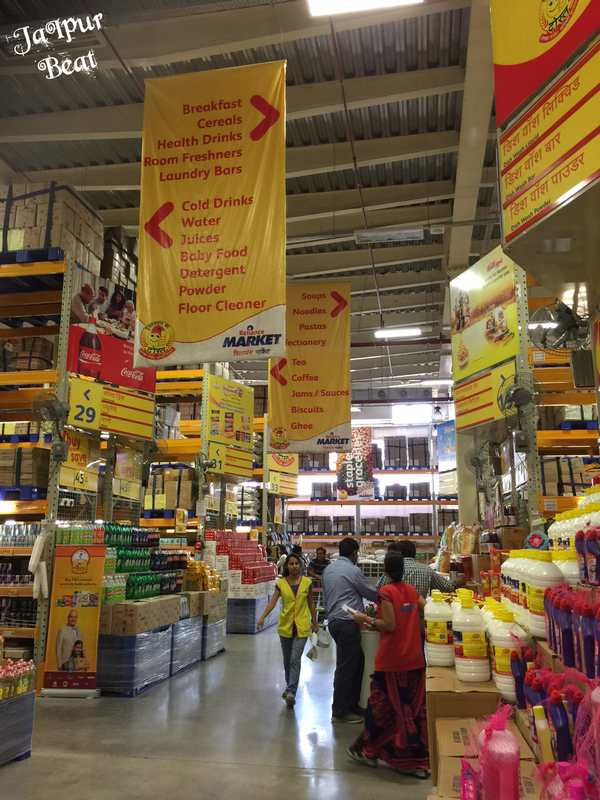 A visit to Reliance Market in 2-3 months is sufficient to keep your yearly budget in limits especially on household products. Reliance Market Jaipur is located at VKI Area , Road No. 12, Main Sikar Road, Jaipur. So, this Sunday make your wish list, and head to Reliance Market.